Centrally located on the banks of the Yarra River, SEA LIFE Melbourne will take you on an enchanting journey under water. Home to thousands of aquatic animals, including the cheeky Gentoo penguins and one of the world’s largest Saltwater Crocodiles, you’re sure to lose yourself in this underwater world. SEA LIFE Melbourne takes you through 12 amazing zones of discovery; journeying to the depths of the ocean, to the icy waters of the Antarctic. Marvel at the world’s only display of Elephant Sharks in the Bay of Rays and be mesmerised by the weird and wonderful seahorse and sea dragon species in the Seahorse Pier. The Croc Lair will also bring you face-to-face with Pinjarra, one of the largest Saltwater Crocodile residing at SEA LIFE Melbourne. 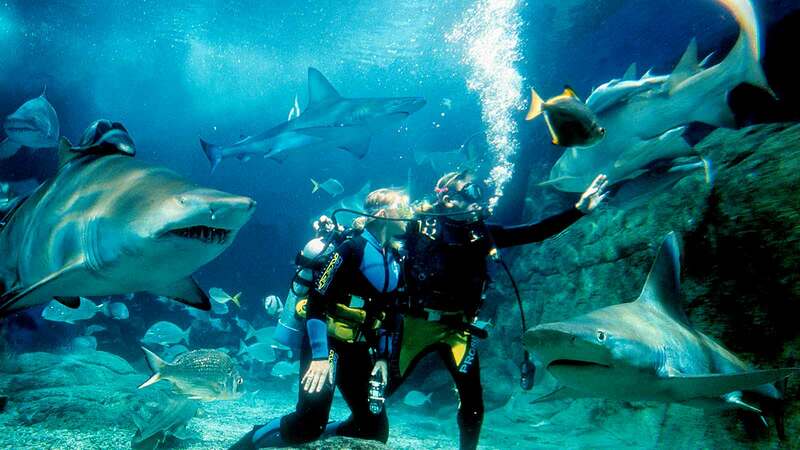 There is so much to see and do at this colourful underwater wonderland!